The complexity and relentless pace of our world places exceptional demands on leaders today. They work incredibly hard and yet feel that they are not meeting their own expectations of excellence. They feel disconnected from their own values and overburdened. By the thousands, they seek out books on leadership skills, time management, and “getting things done,” but the techniques these volumes offer, useful as they are, don't often don't speak to the leader's fundamental sense that something is missing. Janice Marturano, a senior executive with decades of experience in Fortune 500 corporations, explains how Mindful Leadership training integrates the practice of mindfulness-meditation and self-awareness-with the practical tools of management, enabling leaders to bring a wider range of their capacities to the challenges at hand. We already know from scientific research that mindfulness practices enhance mental health and improve clarity and focus. FINDING THE SPACE shows how this training has specific value for leaders. This is not a new “leadership system” to add to the burden of already overworked people. It brings the concepts of mindfulness into the everyday life of anyone in a leadership role, through specific exercises that address practical issues-the calendar, schedule, phone usage, meetings, to-do list, and strategic planning, as well as interpersonal challenges such as listening and working with difficult colleagues. Leaders who have experienced mindfulness training report that it provides a “transformative experience” with significant improvements in innovation, self-awareness, listening, and making better decisions. 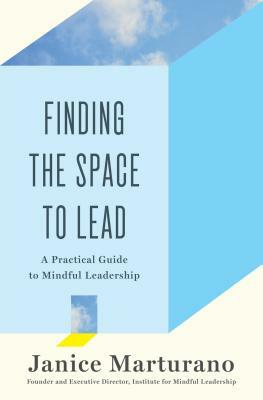 In FINDING THE SPACE TO LEAD, Marturano masterfully lays out her proven techniques for promoting mindfulness in the busy executive's working life.